Custom Scrolling Message Badges Personalized in Bulk. Programmable, Promotional, Cheapest in America. Custom Scrolling Message Badges Personalized in Bulk. Promotional, Programmable with 2056 characters, Inexpensive. Bulk scrolling message badges at the lowest prices in the USA and Canada. This programmable message badge lets you control your message in motion. Stop traffic, make friends, and get your message across. 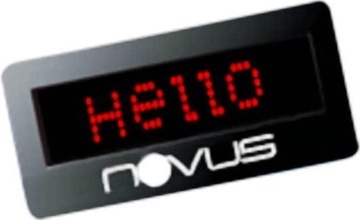 The programmable badge is 3” x 1 1/2”, holds up to 2056 characters, 6 different messages and has adjustable speed control. It's held to your clothing or display with a very strong magnetic attachment. Put on your clothes or attach to your favorite location. Push buttons on the back allow for instant programming without a computer. Free artwork design. We will send you a proof for your approval before production. Prices below include your 1-color custom imprint . Additional Imprint Color: add 0.40 per badge. We also supply blank (not imprinted) scrolling message badges: contact us for pricing. Setup Charge: $50.00 per imprint color. Imprint Size: 2-1/2" x 1/2"
See also our more economical, smaller LED message badges.